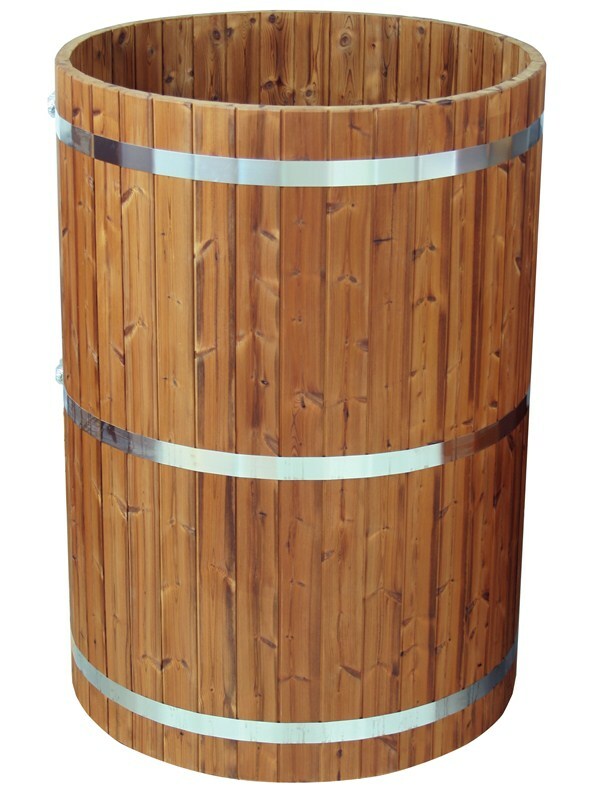 A Hot Tub in heat-treated pine, especially made for 'winter bathers', who want a dip in cold water after the sauna. The diameter is 1 m and the height 1.5 m. Draining at the base. Ladder for the outside and inside can be obtained as an accessory. Water amount approx. 1000 litres. Hint! If salt is added to the water the freezing temperature is lower. Electrical heating as maintenance heating can also be installed in order to keep the water temperature above zero.